Prerequisites Little more than linear algebra plus an ability to visualise objects in 3-dimensions. Some knowledge of groups given by generators and relations, and some basic topology would be helpful. The lectures and mind map that follow (from 2006) will be updated as we go through 2007. Cromwell, Peter Knots and Links Cambridge University Press, 2004. 346 p.
Can you see the isotopy between the Perko pair? An unknotting of a `Gordian knot'. 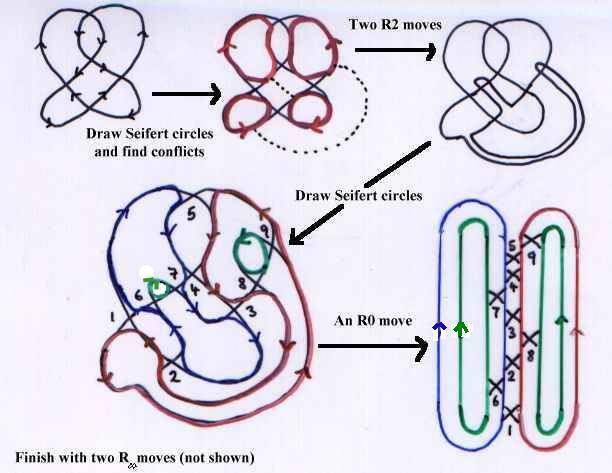 Pictures of knots with 10 crossings taken from the tables of Tate and Little. The Perko pair is 5II and 6VI. Here 6VI is omitted. Where crossings are not indicated assume alternating (over, under, over, under ...). 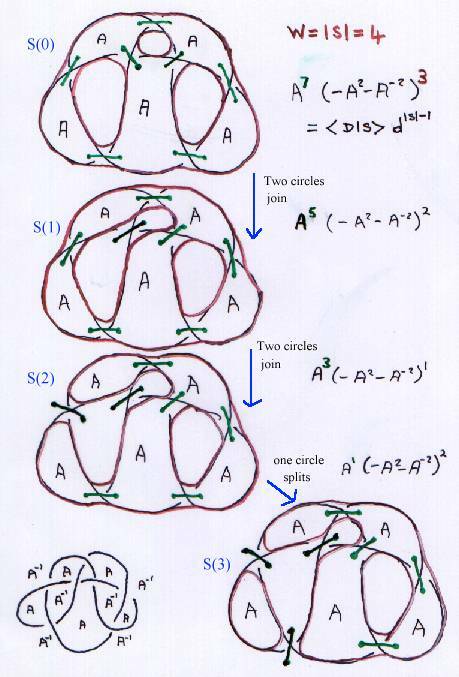 Jones polynomials of knots up to 10 crossings together with their Dowker-Thistlethwaite codes. 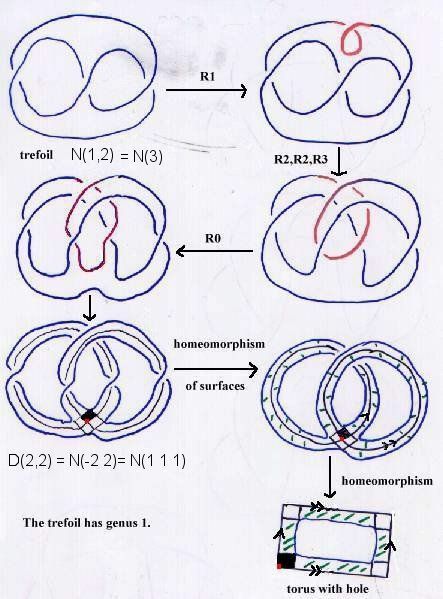 Pictures of rational knots 31 through 81 with their Conway notation and another view of 31 to 77. A table of braid representations of knots. A list of Alexander and Jones polynomials. Finding the maximal degree term in the bracket polynomial. A Maple worksheet for calculating Alexander polynomials and determinants of knots and links. A DOS program to calculate knot polynomials. A java program to calculate the Jones polynomial. The trefoil knot bounds a torus with a hole. 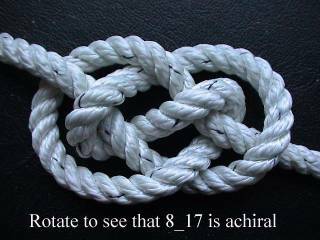 An aid to understanding rational/2-bridge knot construction and notation. Visual aids for the Not Knot video. Knots from the Alambra and elsewhere. Celtic knots, and a quote from Tait. Please email me if you have any comments, questions, criticisms or need for clarification regarding lectures or web pages.